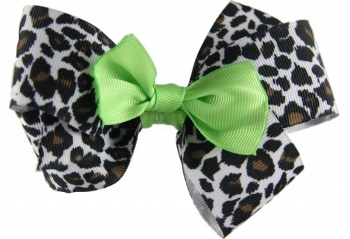 This unique Snow Leopard print is wrapped boutique style with a lime green grosgrain ribbon in the center. 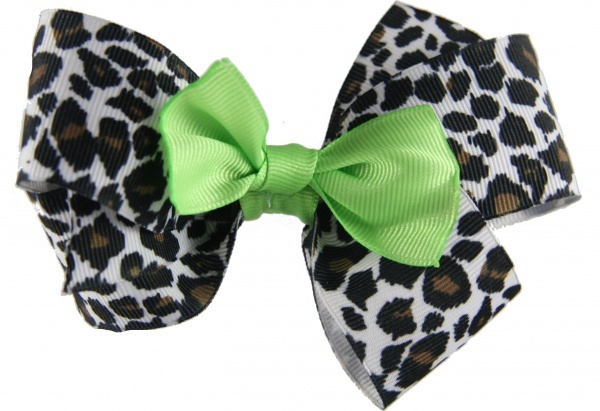 The 1.5" grosgrain Leopard print has black, white and brown colors. It is attached to a French Barrette clip.